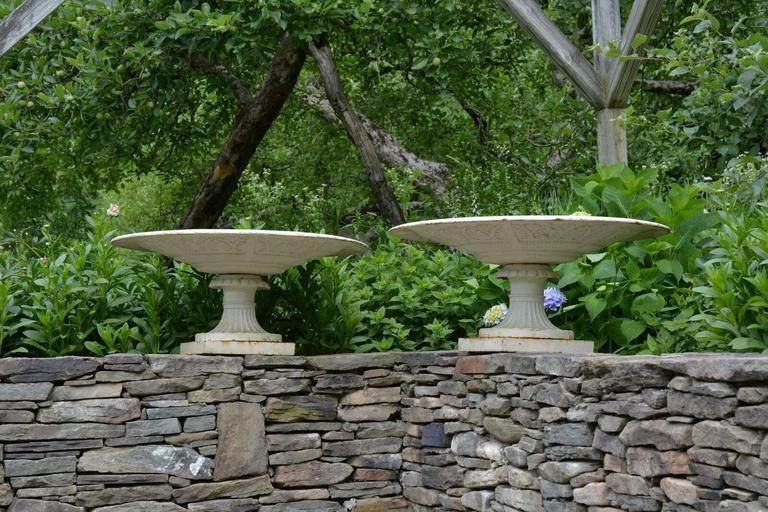 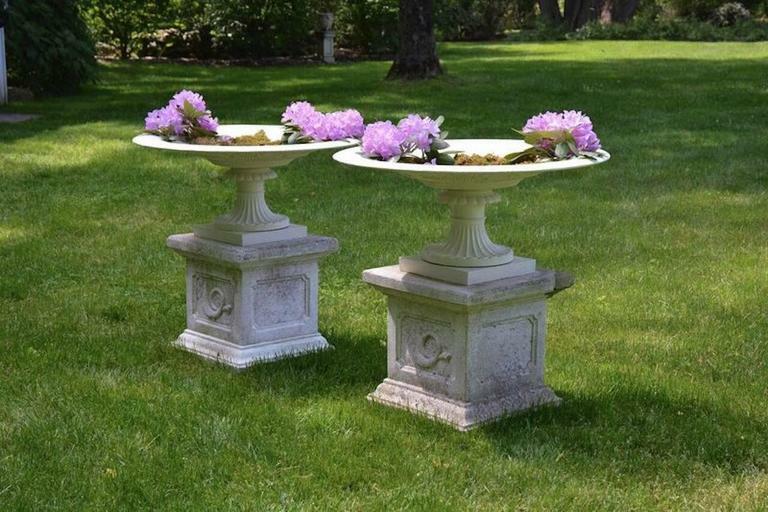 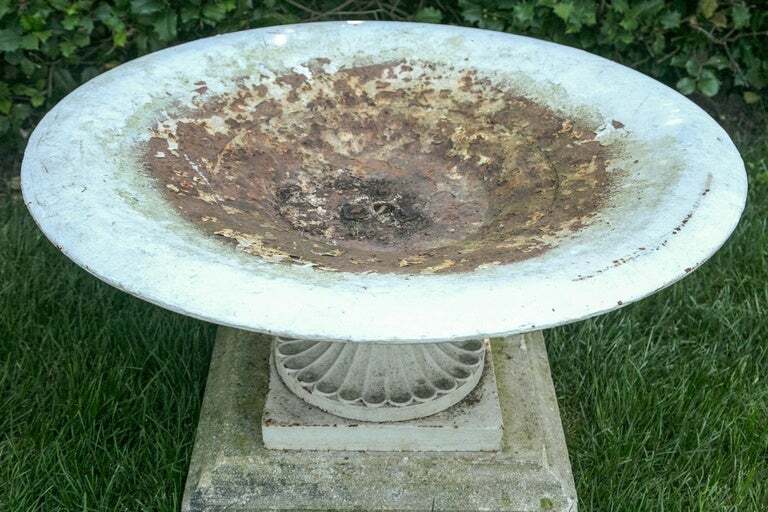 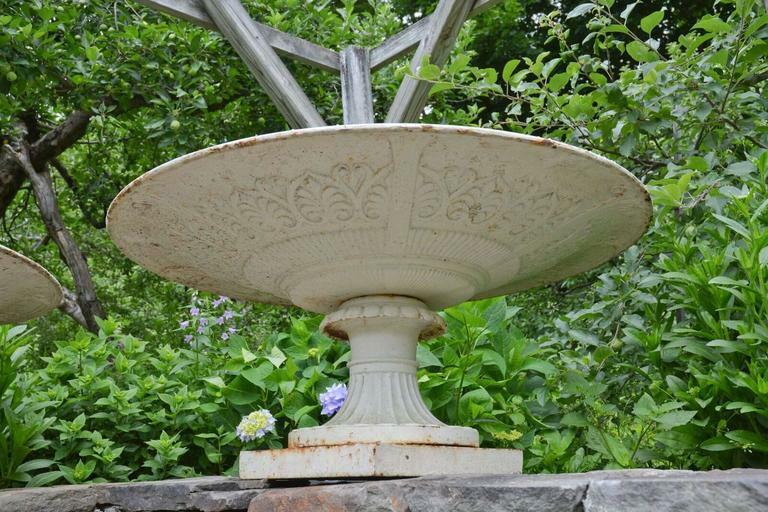 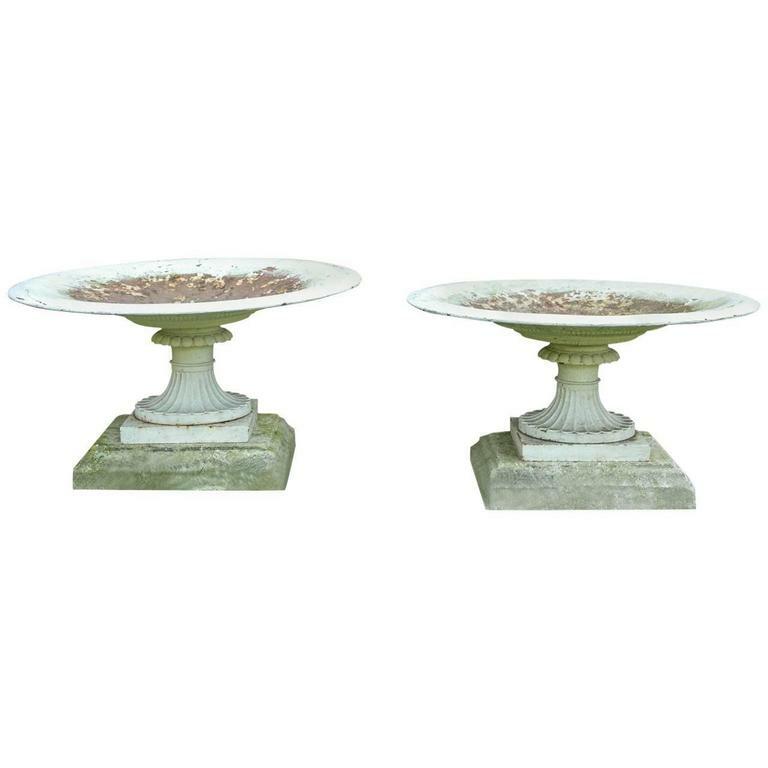 A pair of large shallow cast-iron tazza form urns, each with anthemion motif on underside of bowl, on fluted socles and integral square bases. 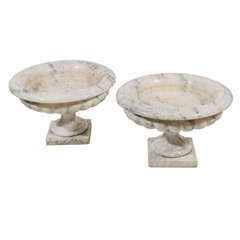 (Low composition stone bases not included). 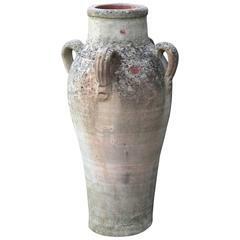 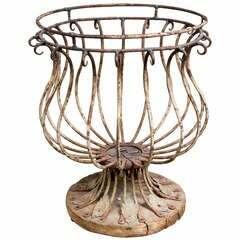 Unusual French wire, wood and zinc urn shaped planter. 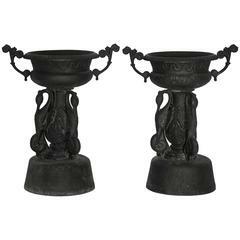 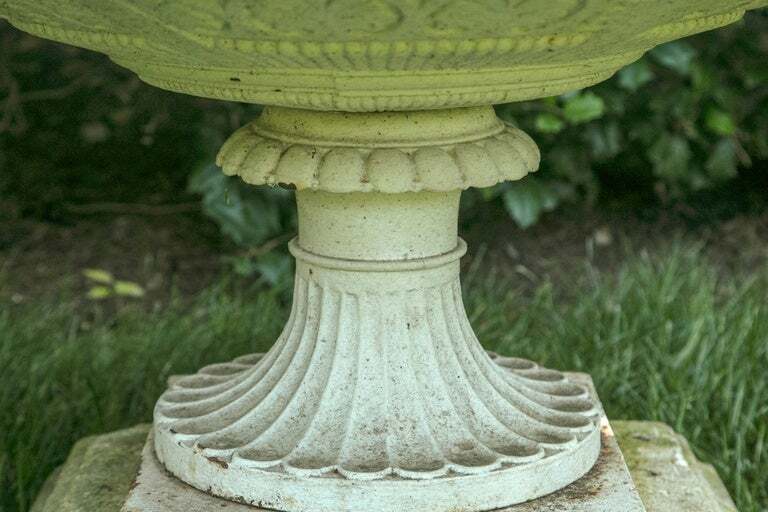 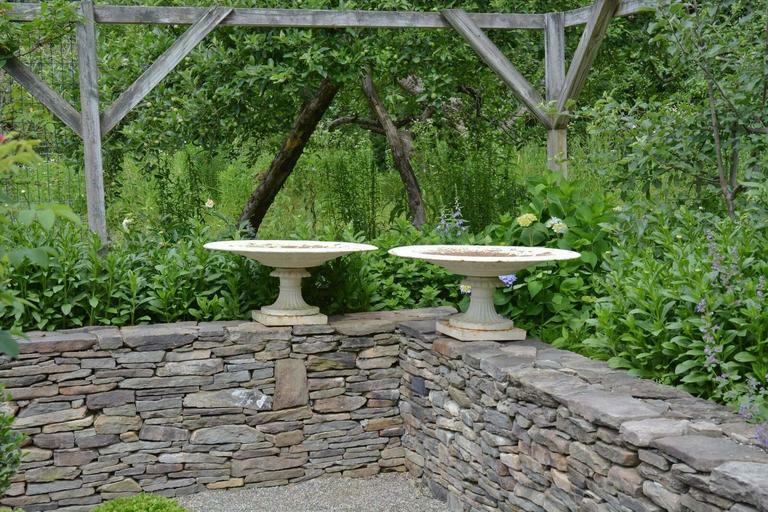 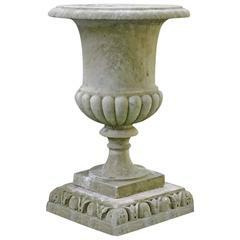 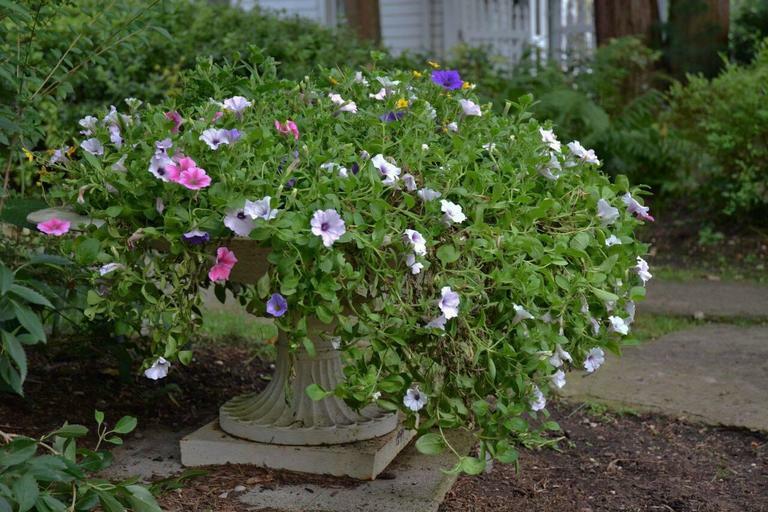 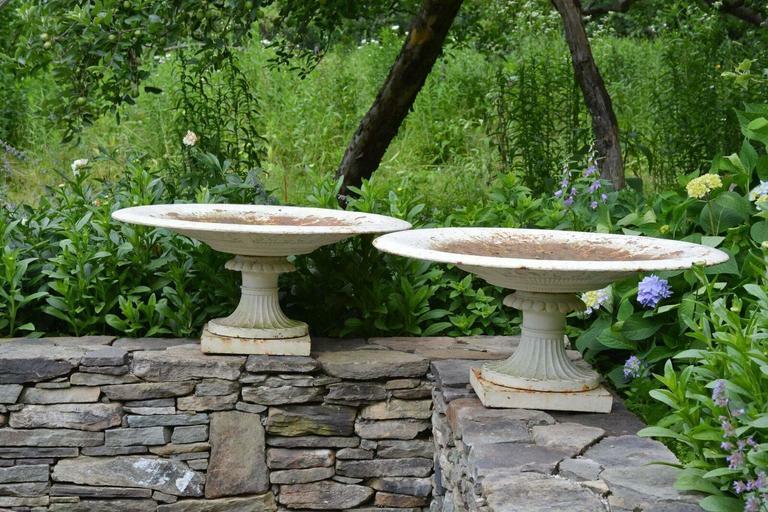 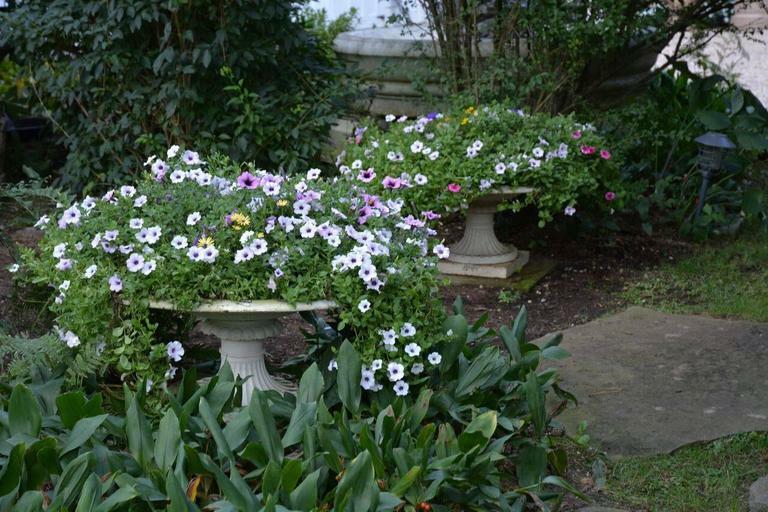 The pair of small Victorian urns are cast in iron and are embellished with protruding fluting and egg-and-dart rims.